Toyota Kirloskar Motors Limited has launched the diesel version of Toyota Corolla Altis in India recently. The company claims thta the new diesel sedan is hassle free and delivers great performance. 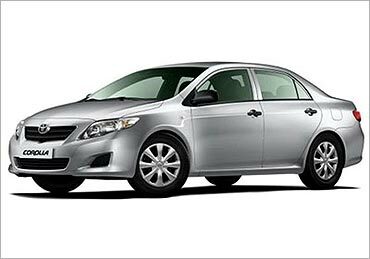 Toyota Corolla has been well accepted worldwide and the quality of this product makes it stand apart even in India. What to expect from Toyota Corolla Altis diesel? In terms of engine, the car has a 1.4 litre D-4D (direct injection 4 cylinder diesel), which is among the new breed of engines from the Toyota's stable producing compact diesel engines. The engine is capable of generating 88.4 PS at 3800 rpm and a max torque of 209 Nm at 1800-2800 rpm. The car has a 6 speed manual transmission complementing the small engine. Product quality, good mileage, refined engine, quality dashboard equipments and good after sales services are some factors that make this car stand apart from the other diesel cars. Toyota Corolla Altis diesel comes with a three year/1,00,000 km warranty. It also has features like anti-lock braking system and automatic climate control in the standard version. The higher end models come with airbags, 6 CD MP3 audio system with aux-in, steering mounted controls and a separate remote for rear passengers, front fog lamps, leather upholstery, electric overdimension vehicle route maps (OVRM) et al. The car also has great Automotive Research Association of India (ARAI) figure of 21.43 kmpl to boast for. What not to expect from Altis? 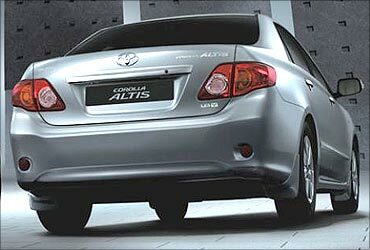 The Toyota Corolla Altis diesel is not for those who like their cars to be torque-happy or have an amazing pick-up. The car would not zoom away or help you overtake at the blink of an eye. The car's overall styling is basic, suspension is not well done and the backseat is a little unpleasant and the car might feel a little overpriced in terms of the engine specs at offer.